Social selling is a new buzz word as companies try to capitalize on social media. Social selling is a new approach to the sales process where you keep in touch with your client base and target market through social media. 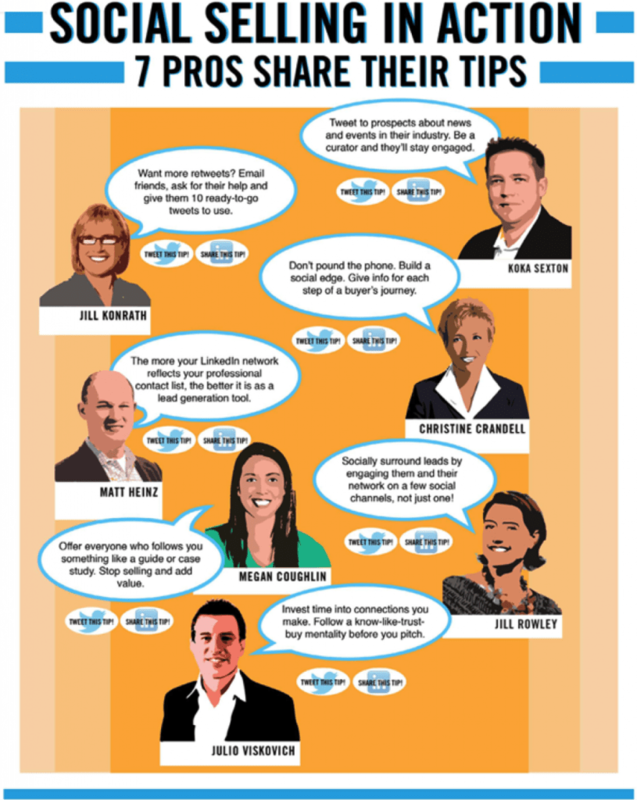 I came across an article on Wigi Social where author Julio Viskovich shares 7 Social Selling tips for 2013. Below are the sales tips from 7 social selling thought leaders. Let us know what your thoughts are on social selling in the comments.